Alms or almsgiving is the religious term associated with charitable giving. It translates to the more obvious explanation, to wit, giving the recipient the means they need to survive. 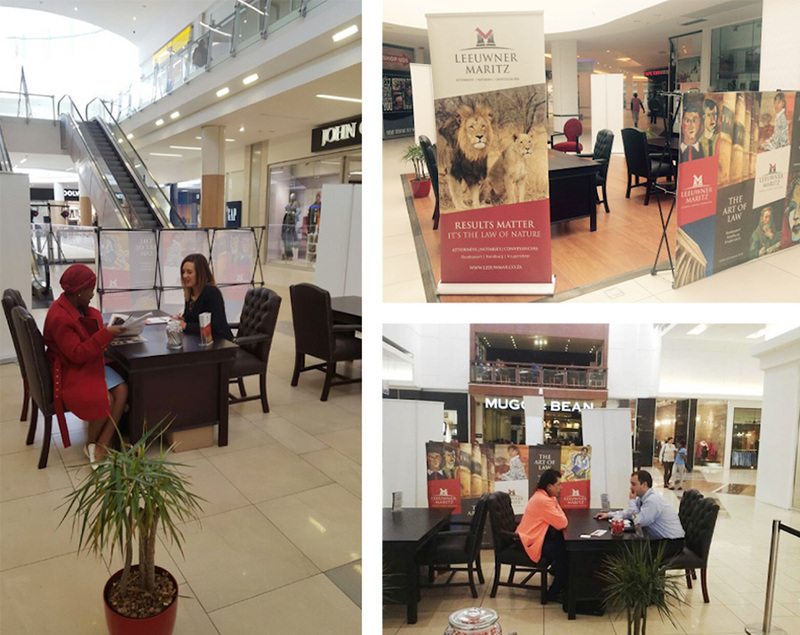 With our recent pro bono initiative in Clearwater Mall it was our intention to reach out to our community and give them the means needed to survive legal battles and or merely give them the opportunity to get more information on their rights in law in general. Although we have achieved this goal, we were also enriched by this experience. Our attorneys were exposed to intricate, complex and exceptional legal questions and scenarios. Scenarios that the public would normally accept because legal advice can be unaffordable when only principle is involved. Simply put it offered our litigators the opportunity to advance their skills through experiences that would not be available through normal paying work. It further enabled us to have immediate, meaningful client interaction. An American Judge, Justice Brandeis said: “I would rather have clients than be a lawyer.” He often used dialogue to ascertain whether to proceed with litigation or to suggest more effective means to resolve issues (where claims did not seem strong enough to hold up in court). This was a rewarding experience for our entire team. We aim to offer the same on a monthly basis going forward. In terms of the LEGAL SERVICES SECTOR CHARTER which was adopted on 24 November 2007 the governing bodies for the legal profession committed, inter alia, to develop and implement pro bono programs by investigation and developing a comprehensive referral system for persons seeking pro bono legal services. We have always been committed to this promise and have implemented sustainable pro bono projects throughout the malls in Johannesburg. We have chosen the malls as it is easily accessible and awareness is created because we reach a large portion of our community. We urge the public to join us in creating awareness about this project in order for us to really reach those in dire need of our assistance. Please follow us on Facebook for more information.